DIRECT TO GARMENT MACHINE (DTG). The print is high-quality and won’t crack or fade. We want to send you a shirt that you will love to wear. All Items are hand print and ship from Florida. 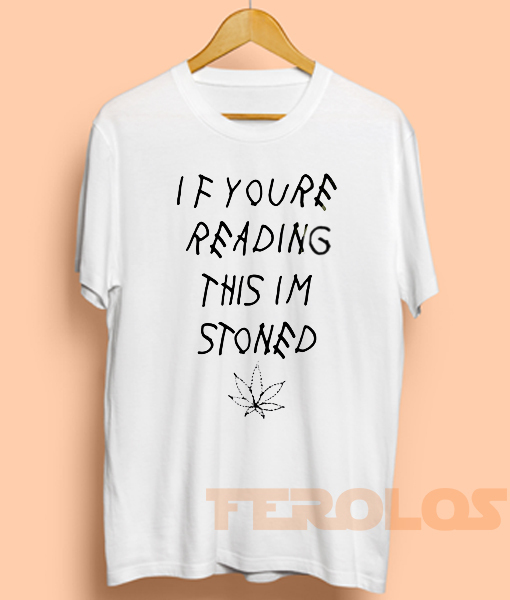 If Youre Reading This Im Stoned Quote Mens Womens Adult T-shirts made by order. Orders will be process only on MONDAY – FRIDAY (except holiday). If Youre Reading This Im Stoned Quote Mens Womens Adult T-shirts will be sent out within 1-3 business days after payment is received.